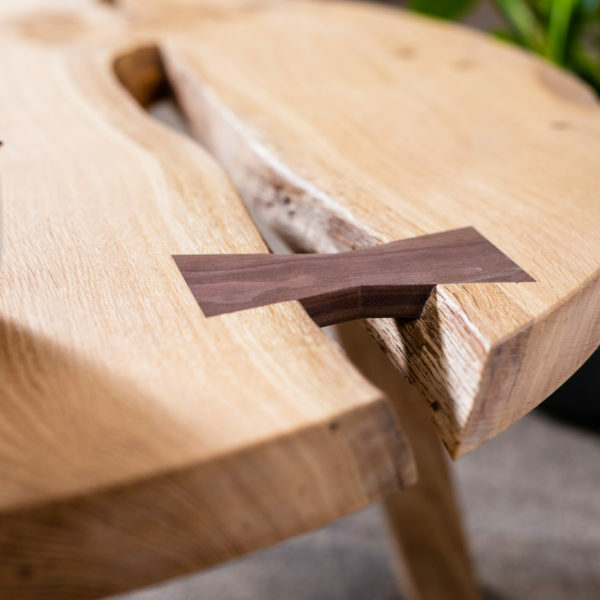 Joining our Contour Dining table and side table, the ‘Contour’ coffee table explores a mix of contemporary and natural shapes. 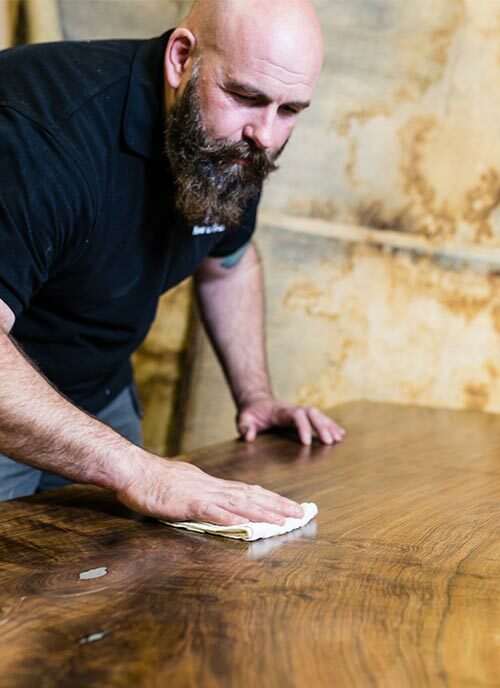 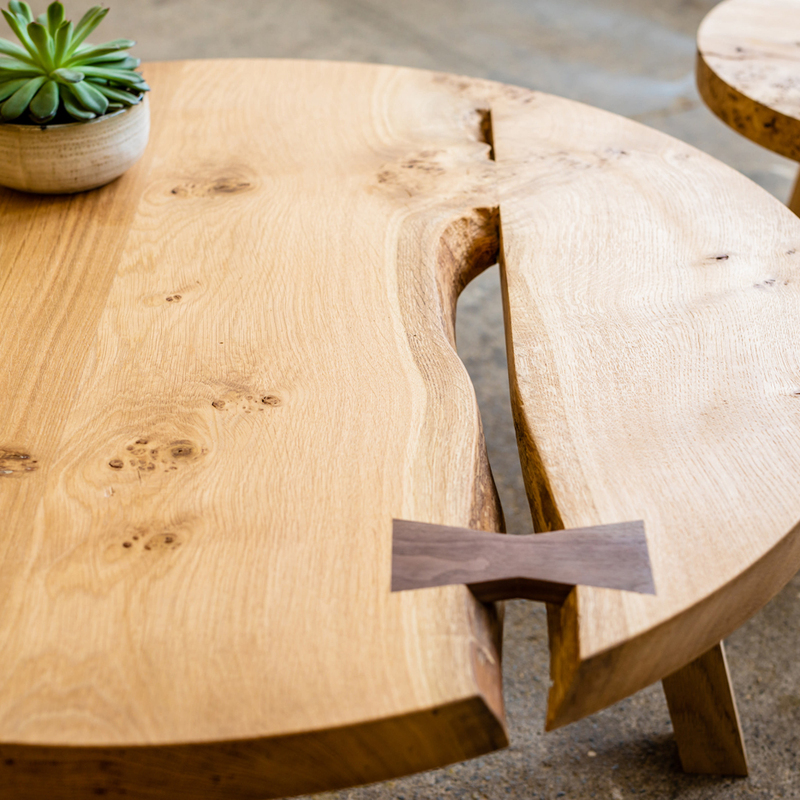 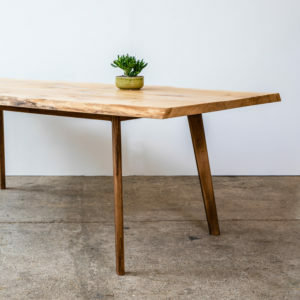 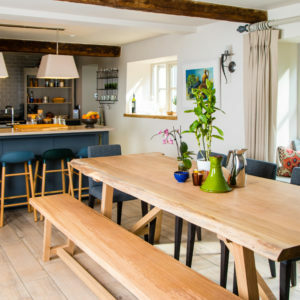 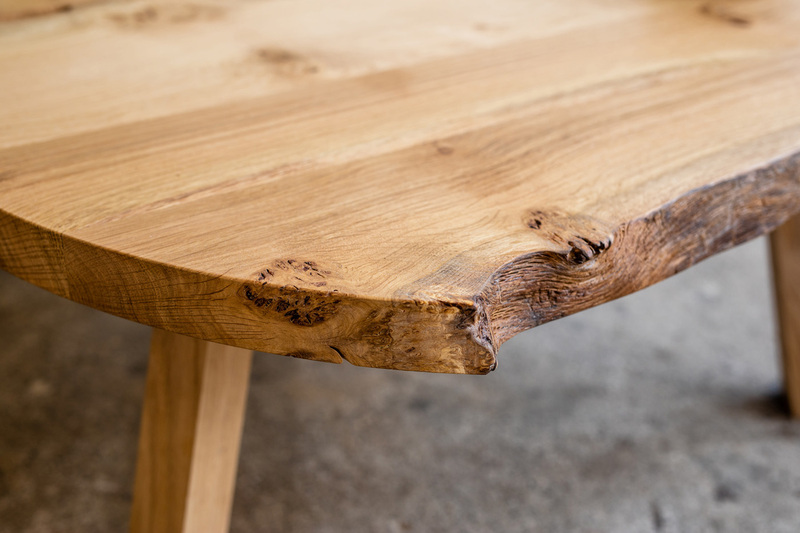 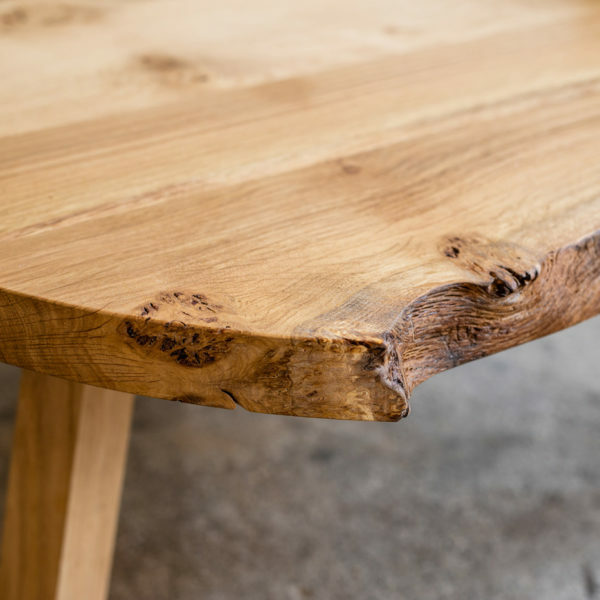 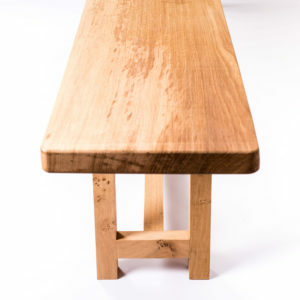 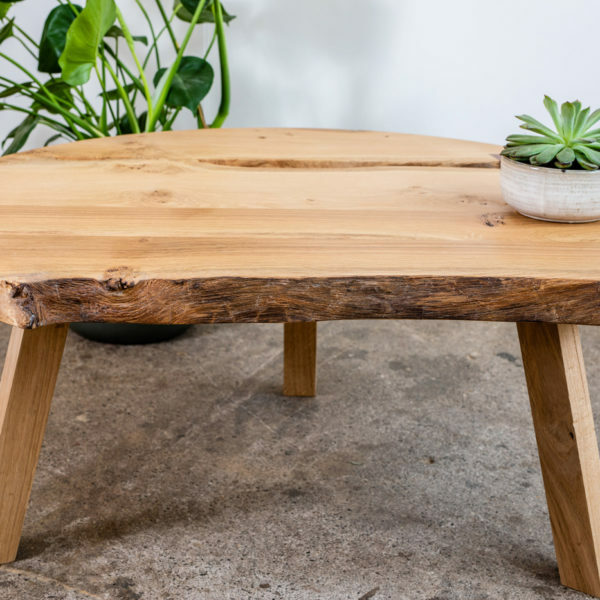 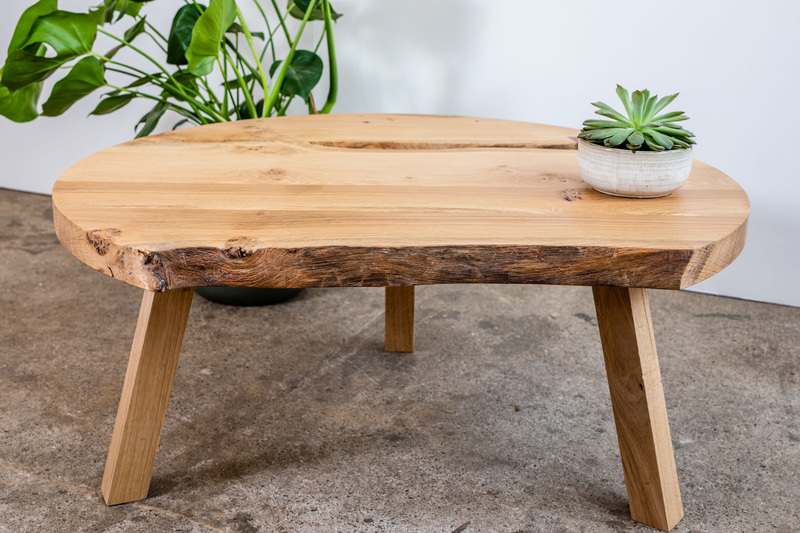 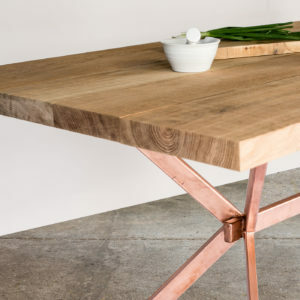 The hand cut, smooth edge of the Pippy Oak top is full of character and merges into the natural live edge from the tree. 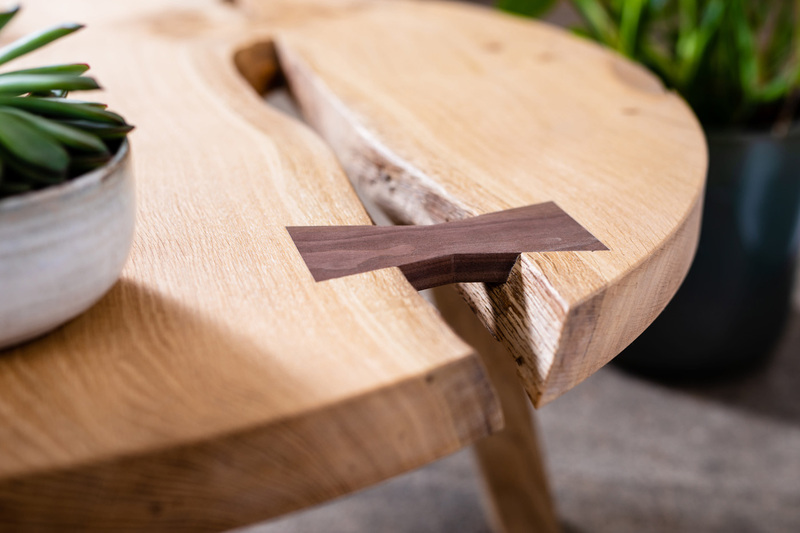 Preserved live edges within the top are held together with a handcrafted American Black Walnut tie. 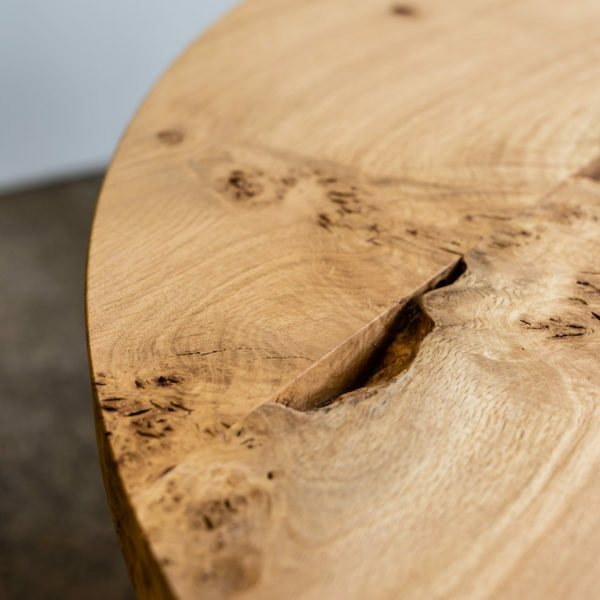 Every piece is unique and speaks of decades in the wild. 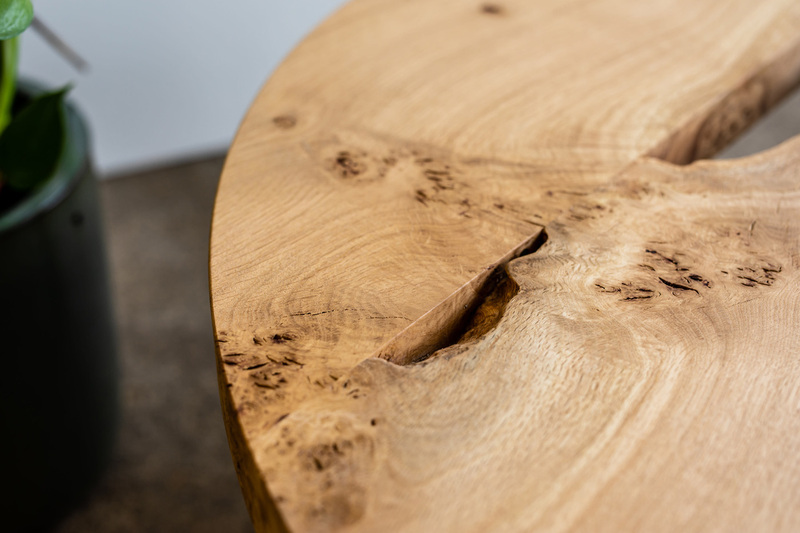 For bespoke sizes or materials please contact us.